Life Insurance: Who Buys, When and Why? This is the first of three blogs in The Life Insurance Landscape series. When it comes to purchasing life insurance, consumers are no longer simply empowered through capabilities like online quoting—they are emboldened. Insurers today face a changing consumer landscape—one that features new demands for speed and convenience. This, of course, contributes to an increasingly competitive environment. Consider this: The consumer who can secure a mortgage in a matter of days often won’t wait for an insurer that takes weeks or months to issue a policy. With the increasing prevalence of online shopping—not just for consumer goods—carriers must be prepared to adapt to and effectively address changing expectations for how life insurance can be bought and sold. But the story doesn’t end at policy issue. Because life insurance is a lifetime purchase. Thanks to a fresh market of young consumers, life insurance application activity is on the rise. According to the MIB Life Index1, individually underwritten life insurance activity in the U.S. turned positive in November 2017, with the MIB Life Index composite up 1.2 percent, year over year. While that uptick bodes well for the industry, carriers will need to deepen their understanding of who buys life insurance, why and when, if they want to take advantage of the opportunities this market offers. A deeper look into the life insurance market: survey says! LIMRA’s Who Buys What and Why – 2017 U.S. Individual Life Insurance Consumer Survey2 offers a number of key insights that can help insurers better understand their customers, and thus more effectively target their sales efforts. For example, the survey reveals that consumers tend to prefer term life insurance over whole life or universal life by almost a two-to-one margin. When they do purchase a permanent product, consumers choose whole life by a three-to-one margin over other products. However, when it comes to higher coverage amounts, universal life products are the more popular choice. All types of households purchase life insurance, but coverage amounts vary by family size and income level. Consumers tend to purchase term life as income replacement or to guarantee a mortgage payoff or college funding. They purchase permanent life products predominately to cover end-of-life expenses or to transfer wealth to their heirs. Coverage is most often purchased on adults. Only one-third of the purchases insure children. Most purchasers are first-time buyers. Only one in four adds to their coverage and a mere 12 percent replace existing coverage. Consumers who are changing their coverage tend to purchase higher coverage amounts. While all of these insights can help guide insurers’ marketing efforts, perhaps the most telling insights have to do with the life events that trigger a life insurance purchase. Consumers are often prompted to purchase term life when they get married; they tend to secure employer-provided group insurance when they add to their family. 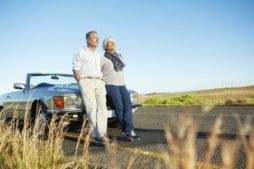 Permanent life purchases are often prompted by the death of a friend or relative, or an impending retirement. When it comes to purchasing life insurance, consumers are influenced by their friends and family. And, despite enjoying the convenience of online shopping, they ultimately want a relationship with their agent. It’s key for insurers to match their customers with the right products. Demographic segmentation can be very useful in this effort. But there’s a bigger picture here. The consumer’s need for life insurance is not a static event. It’s an ever-evolving need driven by life events. Insurers who understand this, and manage their business based on knowing who their customers are, what coverage they need and when they need it are the ones that will stand out within an increasingly competitive sales environment. In my next post, I’ll cover how insurers can use life events as opportunity drivers.